When we use the term Driver Behaviour, we mean a measure of a driver’s actual driving record as recorded by a vehicle tracking system. It considers Compliance, Safety and Performance. Compliance with the rules of the road such as speed limits. Safety by driving within the capabilities of the vehicle, the qualifications of the driver to drive it and their actions relative to the location and prevailing conditions. Performance means how harshly, smoothly and efficiently they handle the vehicle. Drivers consistently rated as ‘high risk’ are more likely to have an accident and will be costing more in terms of vehicle maintenance and fuel use. Identifying these and making appropriate interventions like further training and/or sanctions is vital. This illustrates how technology, people and process must all go together to achieve the best results. When driver behaviour is introduced for the first time, it’s important to present it the right way. Involve drivers from an early stage, bring in their representatives or trade union, explain the benefits. Be open and honest at all times about your motives. Drivers will usually see the benefit of greater care from the employer and welcome further coaching or training as it enhances their skills. More importantly, it is reducing the risks they face and the chances of being seriously injured or even killed while driving for work. In larger organisations, driver behaviour may already be part of a the wider ‘safety first’ culture and taken for granted. In others including smaller businesses, it may be a harder ‘sell’ initially but the benefits should be very clear. Incentives can work with regular rewards for the best and most improved drivers. Many vehicle tracking systems aggregate underlying data to provide drivers with a simple score or league table position. This can encourage competitive instincts as drivers seek to improve their relative scores and by definition, their driving improves. One High Street retailer we know simply publishes and updates driver data in a table on their intranet. 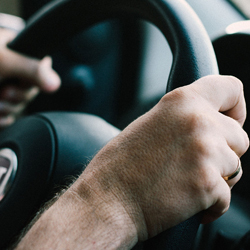 No directives or guidance on driver scores were ever set, yet over a 12-month period, evidence showed a significant improvement across the whole fleet. Cost reductions were achieved as a result of increasing safety, a clear ‘win win’.